We hope you’re enjoying our new feature! This month we asked our mamas of t(w)eens about how to handle social media, which is one of the biggest differences between when we were teenagers and today’s teenagers. We asked: What advice would you give moms with have kids who are getting interested in social media. What kinds of things should we watch out for, and how much is too much? Mama K: I’m a believer that social media is a reflection of our culture as a whole, so there are places we find that will uplift us and offer meaningful companionship or interaction—and there are places that could do us harm. As we raise our children, we recognize there are some places they don’t need to be, and we make that known to them…hopefully not by paralyzing them with fear, but by having rational, intelligent conversations about what they need to avoid or where they should exercise caution. Social media is no different. I am of the opinion that good parenting of tweens involves a steady flow of engagement in what they’re doing, but (within reason) we should allow them to guide where their interests take them. As we see what they find appealing, it’s our job to find common ground with those interests ourselves so they’re willing to share. 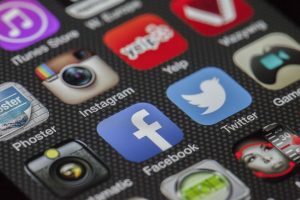 Social media has evolved into so many new forms, it’s not enough to just be familiar with Facebook (so old school, anyway…your child may not even be using it.) It’s likely they or their friends are on Tumblr, Snapchat, Instagram, Twitter…or even (sigh) Tinder, just to name a few. If you’re not up to speed on these, PLEASE start now. The reality is, kids with Smartphones that aren’t totally locked down with parental controls are very likely interacting with these sites. Parents can’t hide their heads in the sand and assume their children are careful online—we have to ENGAGE in a way that respects that our child is a unique individual, while offering rational dialogue (two-way conversation…not a lecture) that assures them you know a thing or two, you are looking out for their best interests, and if something becomes concerning they should trust you will be there to help and not overreact or go straight into punishment mode. Social media should be an enhancement to real life—but not be allowed to take over. I think it’s appropriate that EVERY member of the family put aside phones during meals and conversations, while homework is being completed and at bedtime. Parents have a responsibility to teach (and model) etiquette relating to screen time, not just when kids should say please and thank you. When social media becomes all-consuming and interrupts what needs to happen in the course of a day, or it’s causing stress for the child or other members of the family, it’s time for a courageous, well-reasoned and calm conversation that sets out some acceptable alternatives. I think most of us want to teach our children to think for themselves, which means we have to demonstrate that their opinions matter…and we’re willing to hear them out while still enforcing and explaining boundaries. 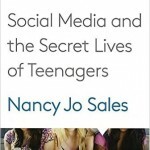 Mama M: Social media is new territory to navigate from when us parents were kids. Educate yourself about each social media site your child is interested in joining. Some sites, like Facebook, have a minimum age (13) requirement. As parents, decide what social media site you’re comfortable introducing to your child. 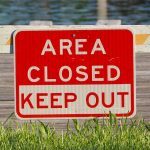 Create boundaries, rules and restrictions for the social media site you choose. Focus on the Family and other websites have contracts you can review for Internet safety ideas. Discuss these with your child before they’re allowed to use the site. Use the site together to model appropriate behavior for social media. Follow your child on the site you choose with your own account. As your child gains trust in knowing proper social media usage, give them more autonomy with periodic checks. Consider constructing “no screen zones”: at the dinner table, 1 hour before bedtime, and family time. Mama J: Social media is one of many privileges that the kids in our house have to earn, you don’t just automatically get it. If someone’s grades, behavior, or attitude is not meeting expectations, then privileges are removed. Because of the nature of social media, access goes hand in hand with maturity and responsibility. Our social media rules are simple. You MUST let Mom (Dad is far from being a social media guru) be your “friend” on every platform you’re on and Mom can edit anything, anytime, no ifs ands or buts. The things we watch out for are: inappropriate language, name calling of any sort, and cyber bullying. More than once, I’ve had to tell my kids to “take it down.” Their posts weren’t offensive or straight up in violation of our rules, but as mom I didn’t feel that they were “putting their best foot forward.” We ask our kids to run everything by this simple test (similar to the WWJD). Would this make my PARENTS proud? Would it make my GRANDMA proud? Would I say it/post it in church. So far, we’ve avoided any social media pitfalls. Best of luck to everyone! These are uncharted waters! Have a question for our anonymous panel of mamas? Send it to mamas@nwamotherlode.com and we’ll be sure they get it! Nervous about Kindergarten? These books might help. Mamas on Magic 107.9: Are you in a slump?